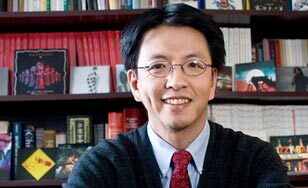 Hong-Ming Liang is one very busy history faculty member. He teaches three popular courses, serves as the College's prelaw advisor and helps with faculty self-governance. In his spare time he has managed to start a scholarly journal that's embracing a rapidly changing reality for scholars who publish their work. As university presses have been reducing their print activities or closing up shop altogether, Liang has created Middle Ground Journal, an online journal of world history. The open-access, refereed and nonprofit Journal is published by the Midwest World History Association, an affiliat eof the World History Association(WHA). The College hosts the Journal on its server and the design was done by John Eastvold, a systems administrator in the College's enterprise information systems department. The Journal's contributors include a loyal and growing group of undergraduate and graduate St.Scholastica students as well as recent alumni. They come from many majors. The Journal is a dynamic forum that provides the students with real-world experience in editing, writing, publishing and scholarly collaboration. For example, Journal student interns collaborate with a new eighth grade global studies program at the Duluth Edison Charter Schools' K-8 North Star Academy. They recently celebrated the completion of the first full academic year of their partnership with a display of Academy students' National History Day projects. Next, Liang and his group will present their work to the WHA conference in June in Minneapolis. "What began with one quarter-long elective course in Spring 2012 with a single intern," Liang said of the Northstar collaboration, "has expanded into the full participation of all the eighth-grade global studies students and more than a dozen student interns in a program that has received attention from national publications and the American Historical Association (AHA), as well as the support of leaders in the WHA and the Midwest World History Association." Liang will have an article about the Journal in an upcoming issue of the AHA's newsmagazine, Perspectives on History. The AHA is the most prestigious group for historians in the United States, and the story will no doubt introduce the Middle Ground Journal and St. Scholastica to a substantial audience. Liang has also been invited to the AHA's national conference in January to discuss the Journal and the students' work on it. He started the Journal after a colleague with the WHA suggested it would be great to have an undergraduate journal and asked if someone would take the idea and run with it. "Some of our student interns are not interested in history and globalstudies," he said. "They're interested in the Internet and marketing. I'm very interested in open access e-publishing. If there's an idea of an evolving understanding of a history journal, while hanging onto the core concept of quality, I want to explore that." Middle Ground can lead to students gaining exposure that would otherwise be elusive. Liang cites the work of Brock Erdahl, who graduated last year with a 4.0 GPA and an extraordinary four - yes, four - majors, one of them in history." Brock completed a book review on 'China in World History' in a world history seminar I taught," Liang said." After some revisions we sent the review to one of The Middle Ground Journal's non-CSS editors for a blind review. It was then reviewed by two other editors. It was accepted and published earlier this semester. Brock's review has just earned a mention in Book Forum's blog post concerning China. Erdahl continues to volunteer for the Journal while teaching in China this year. Liang tries to help his students, both in the classroom and on the Journal, see how liberating the world history approach is. "Academics are trained to be specialists, opinionated, and very stubborn about what they believe," he said. "But world historians can't be that way. We have to be able to debate the middle ground. That's the only possible way to move forward. "World history is either the most important field or" - he smiled and gave a small shrug - "it doesn't exist. Rising global consciousness is essential, or one just can't meaningfully cover the whole world." The digital format of the Journal is also freeing. "This may be a case where this is a great equalizer," Liang said. "St. Scholastica is a small school, with a small budget, yet we are able to do much more than places with more resources but a more traditional approach. "We're doing pretty well," he said. "I always tell my students, because of a lot of hard work and a little good luck we're running a world history journal that's internationally accessible. You can imagine somebody in Africa reading this and thinking, 'Where is Duluth?' I like that."